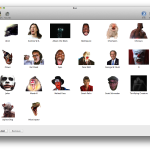 Turn your Mac into a machine to scare your friends! 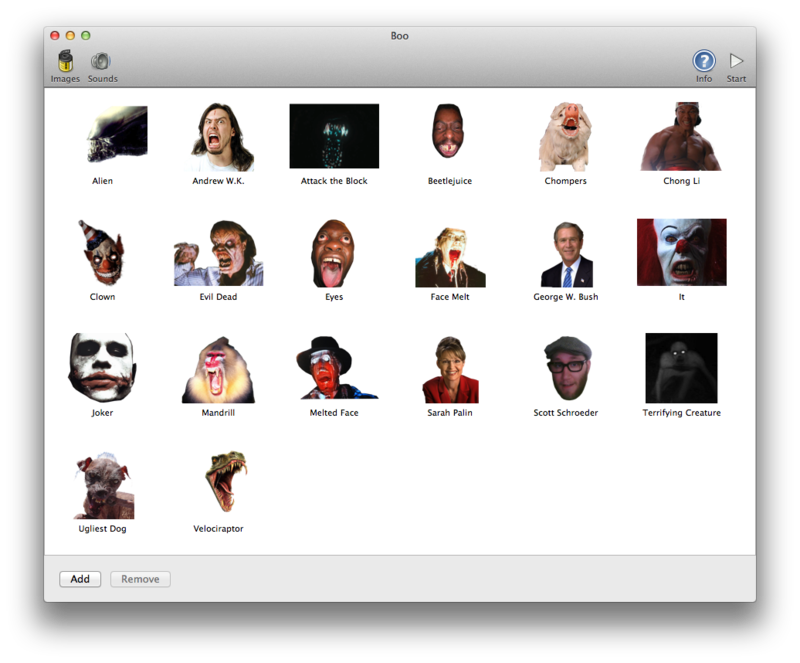 Boo is a simple Mac program to flash frightening images on the screen and is completely controllable via a web interface. 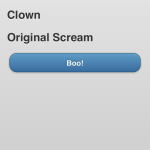 Scare your friends with a scream or creep them out with subliminal flashes and videos. 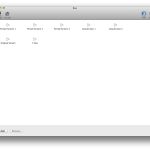 Boo has a simple interface to manage images and sounds. 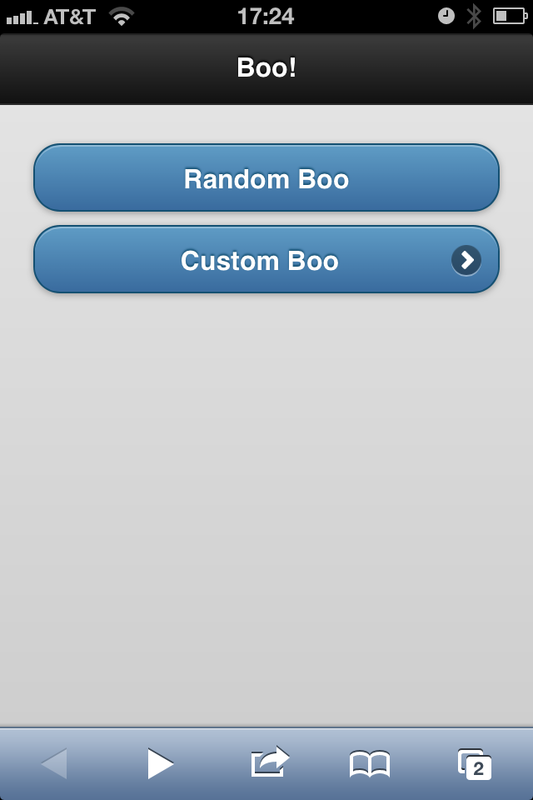 Once you run the app, the screen goes blank. When run on TV, it looks as if the TV is off. 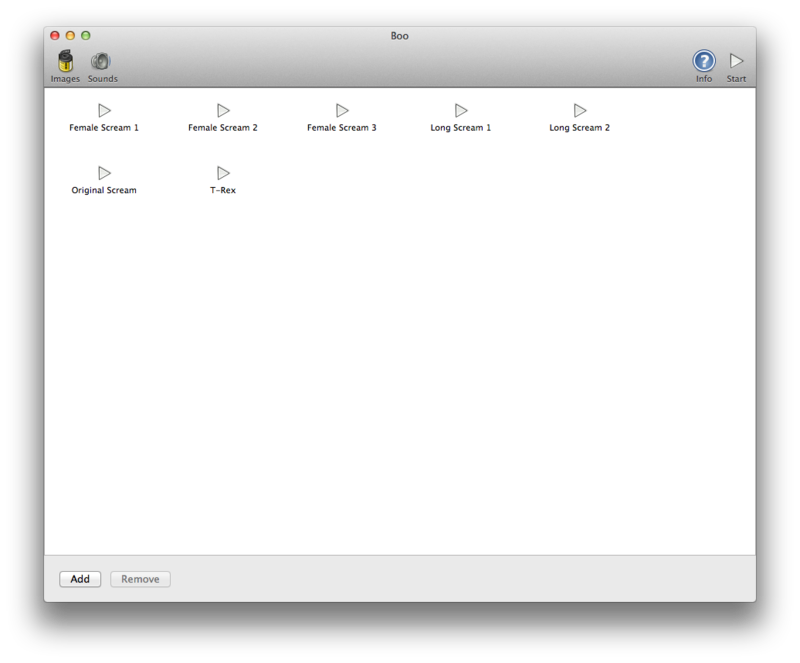 When in this mode, a simple HTTP server runs on a random port, which allows you to fire off a random image/sound combo, or to customize exactly which image and sound to use. The HTTP server built in to Boo is from Cocoa with Love. 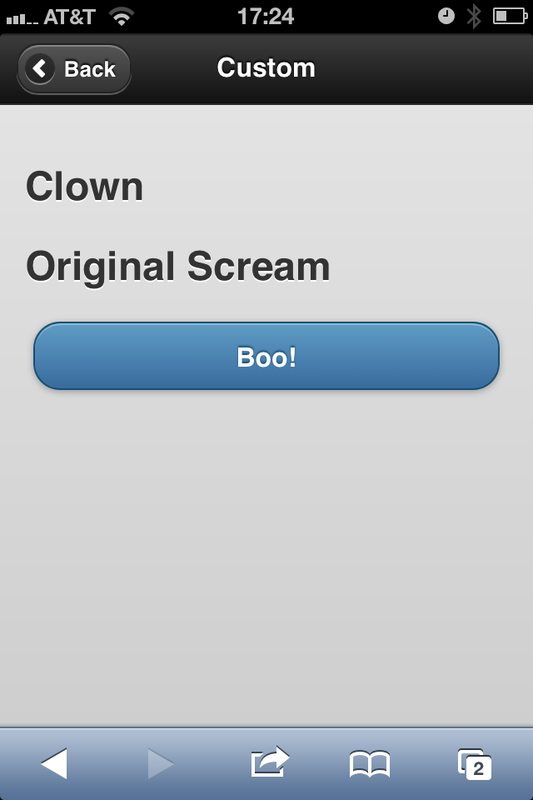 The web interface uses jQuery and jQuery Mobile for a more mobile look.